Japan is famous for being an expensive country to explore, and yes, it can be. However, in the last three years the U.S. Dollar has risen over 70% in value against the Yen, making Japan much more affordable. One Dollar in 2012 would have bought you 76 Yen, but in 2015 it is worth around 117 Yen - that's a significant change! Still, even with this substantially better exchange rate, a trip through Japan can cost a lot of money if you don't know how to travel on a budget. Here are some tips to save money in Japan while still being able to enjoy the best the country has to offer. Since I introduced this article with the exchange rate of the USD against the JYP, I want to point out the importance of knowing exchange rates when traveling anywhere. Unlike many other currency pairs, the USD/JPY has had a drastic change in the last three years, making it much more favorable for Americans to travel to Japan right now. In the future, take a look at the exchange rate and see if it is favorable for you. See and read about possible economic scenarios to estimate if it is appropriate to go to Japan now, or if it is better to wait a bit for the value of the Yen to drop in your favor. You can check the current exchange rate here. For example, I visited Japan in July 2014, when the Dollar was worth around 100 Yen. Had I gone today, I would have gotten 17 Yens more per Dollar. That's a substantial difference. Should planning based on the exchange rate be inconvenient for you, you could plan your trip based on seasons and try to travel during Japans off-peak season. Cherry blossom and autumn foliage are some of the most popular times to go to Japan (around early April and mid-November, respectively), but these are peak seasons, so expect to pay more for accommodation and other travel related expenses. Other peak holidays include Golden Week (April 29 to May 5), Obon (mid-August), and New Years. On the other hand, traveling off-peak (late autumn through March) can prove to be a money-saver since accommodation is much cheaper. Japan has an excellent bus network that can take you to any major city in the country. Buses are often cheaper than trains since the travel time is longer, but if you aren't in a rush, this might be your best option to travel the country cheaply. Some bus companies like Willer Express offer bus passes for short-term travelers looking to move between all major cities for less. If you're planning on taking frequent, long distance trips, then maybe a Rail Pass will be better for you in the long run. You can get a one or two week Japan Rail Pass to cover all your travel. They are not cheap, but if you calculate the amount of travel you expect to do and compare it to the pass price, you might see it is worth purchasing. Also, if you're planning in staying in one region, instead of traveling the entire country, regional passes might prove to be much more convenient for you. Japanese cities are easily navigable by rail, bus, and/or tram, and their rates are cheap compared to U.S. public transportation networks. Day passes are also available to save money if you plan on moving around often. In addition, many Japanese cities are easily walkable, so why not enjoy the city from the sidewalk instead of a train or bus? Not only it is a unique curiosity in Japan, but capsule hotels are also convenient to save a bit of money every now and then. Capsule hotels are only recommended for a night or two due to their small size and lack of decent storage space. But, these hotels are often found near major transit hubs, so they are great if you need to catch an early train or want to be in a convenient location to move around. For roomier accommodation, you can use AirBnb, which allows you to rent a room or apartment from a local, usually at a lower rate than a hotel room. In addition, in many cases you get to interact with your host, who might show you around the city if they have time. The same applies to Couchsurfing, but the difference is that with Couchsurfing you often stay for free on someone's couch or spare bed. Gyudon, which literally means beef bowl, is a Japanese dish consisting of a bowl of rice topped with beef and onion simmered in a mildly sweet sauce. There are several local fast food chains serving Gyudon all across the country. Among them are Matsuya, Yoshinoya, and Sukiya. A plate of Gyudon can go from 300 Yen up. There are other Japanese chain restaurants that are worth trying and that are also cheap. Try Fujisoba for noodles, Wako for tonkatsu (pork cutlet), Osho for gyoza (dumplings), and Mos Burger for some delicious burgers, to name a few. One of the best things Japan offers to tourists is that most of their alluring sights don't cost anything to enter. 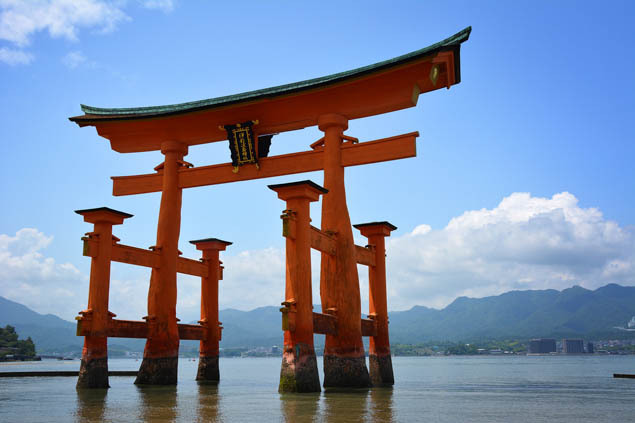 You can see Shinto shrines, parks, markets, contemporary buildings, and old historical towns without spending a dime. Other sights might have an entrance fee, but often they are not expensive. Should you need to buy things for daily use or cheap souvenirs, go to a 100 Yen shop. As the name says, most items in the store are sold for 100 Yen (the equivalent of an American Dollar store). What are some of your top budget travel tips? No matter where your adventures take you, make sure you have the right travel insurance coverage for the experience!